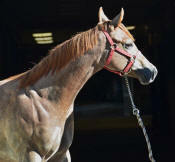 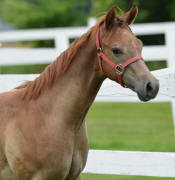 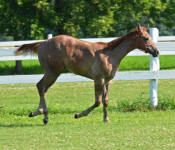 Yesterday I took a few pictures of Chipper, the NN colt by Fred (Classically) out of Time To Play Girl by Time To Touch. 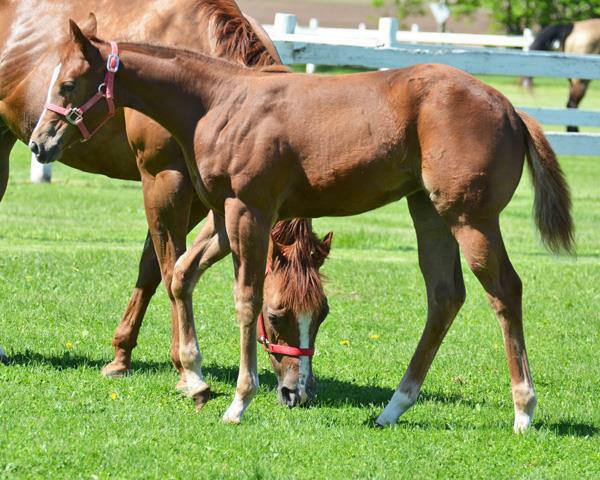 He finally got over the scours but he is still not carrying the weight that the other foals do. 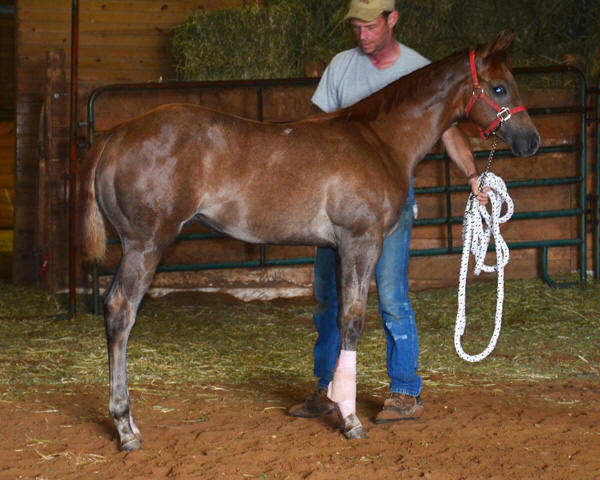 He is so correct and going to be huge. I hesitated to post pictures of him until he is heavier but you know me----if I take pictures, I post them. 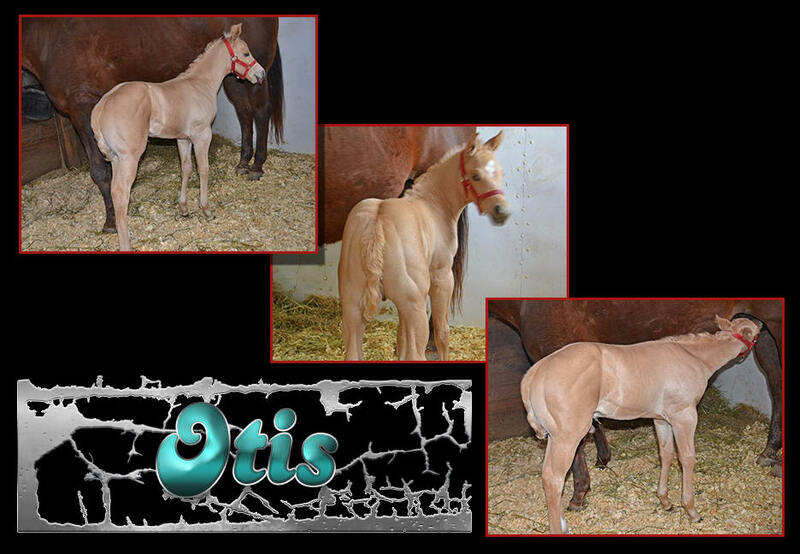 Pictures taken 4-26-15 - 2 weeks old Click to enlarge. 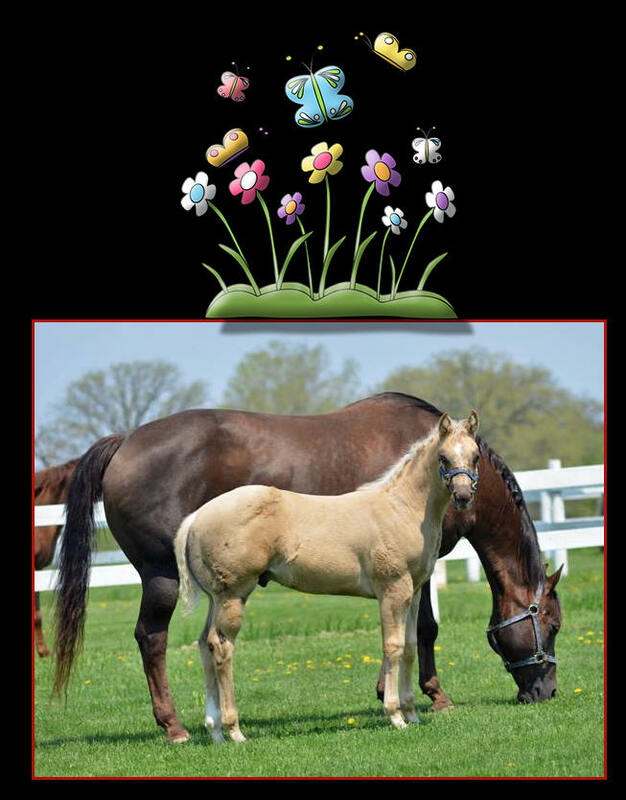 4-11-2015 Click on picture to enlarge. 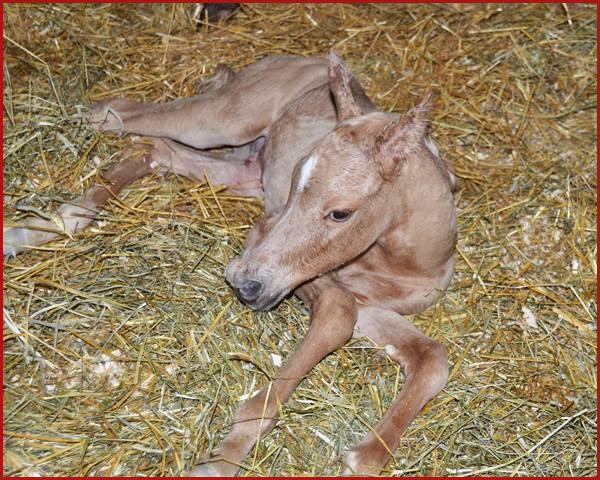 What a surprise I had this morning when I walked in the barn. 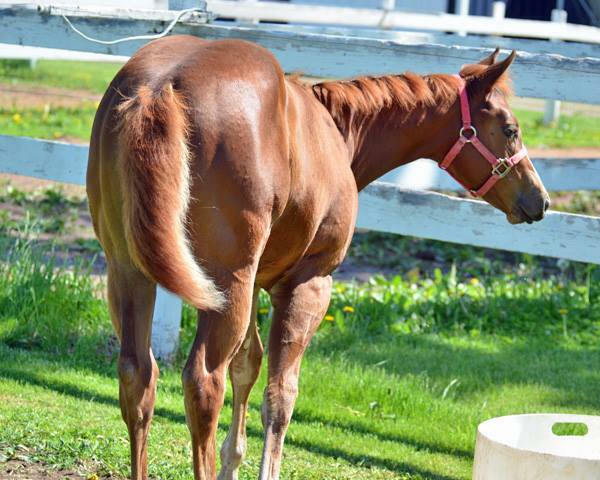 There in the stall stood a big filly. 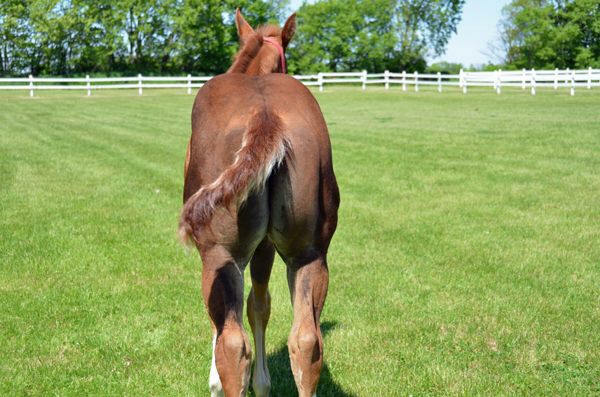 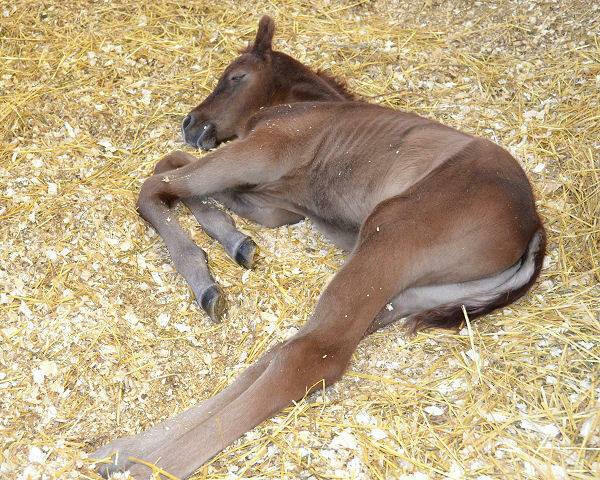 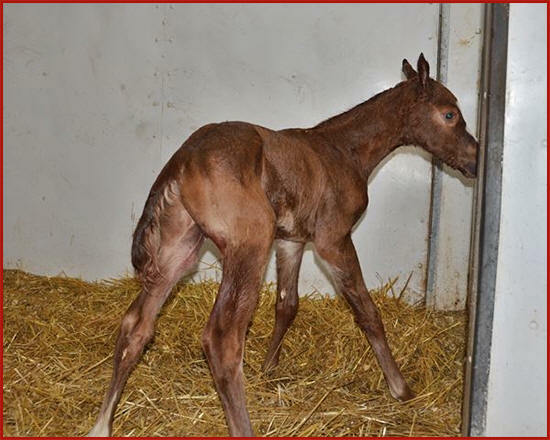 No warning, no foal alert, no straw in the stall. 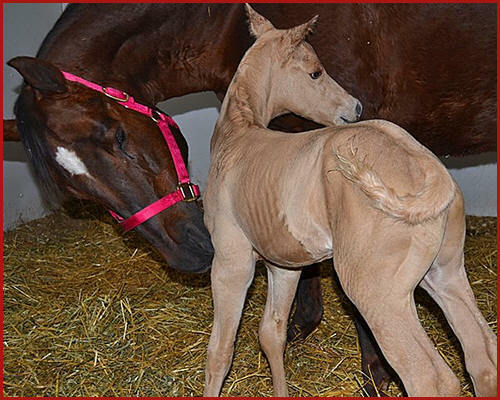 Filly was just nursing, mare had passed her placenta. 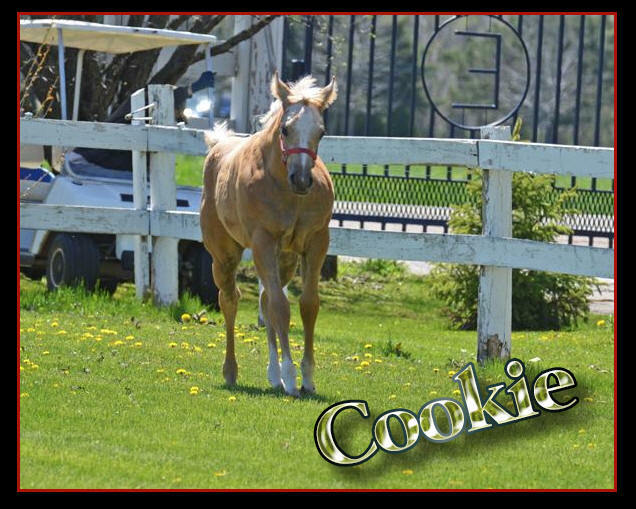 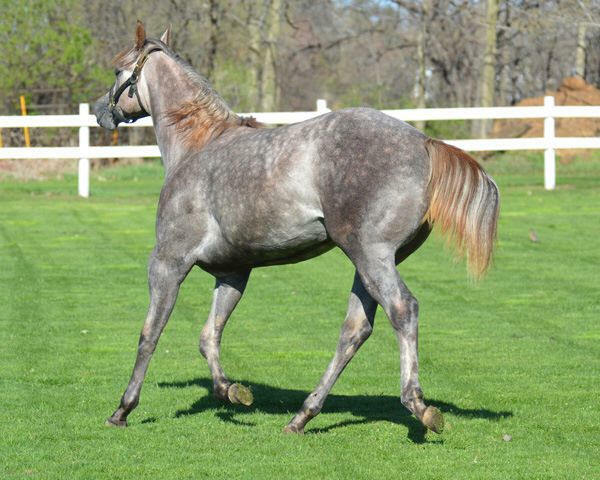 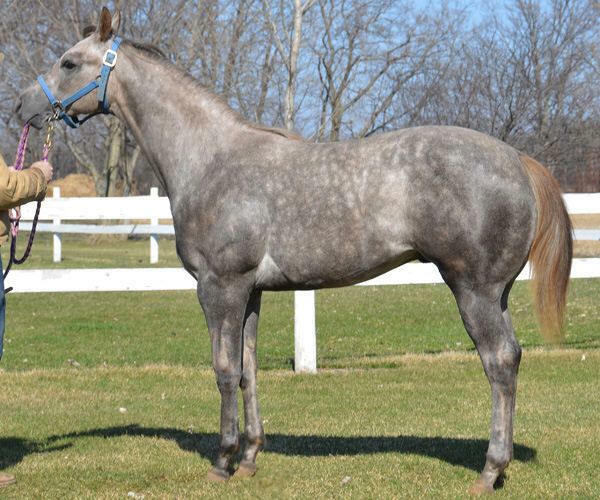 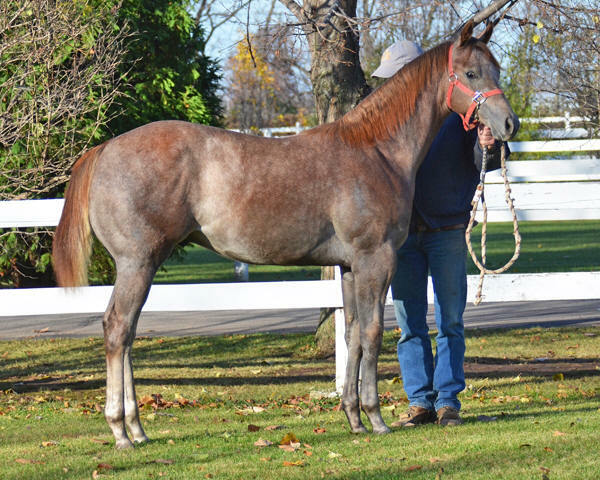 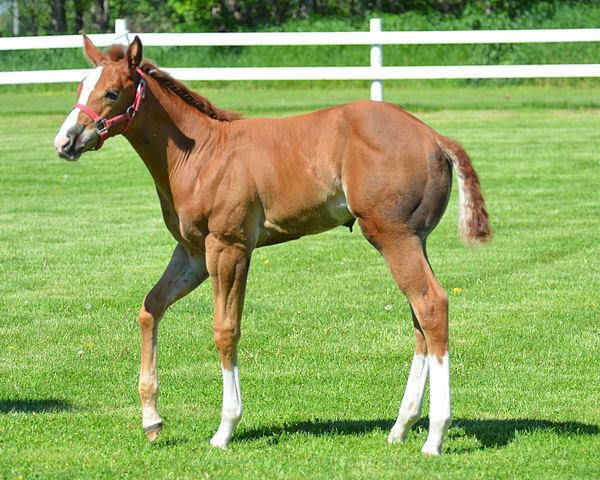 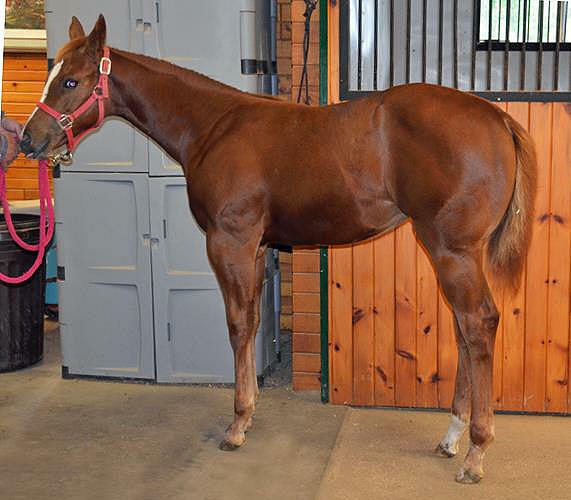 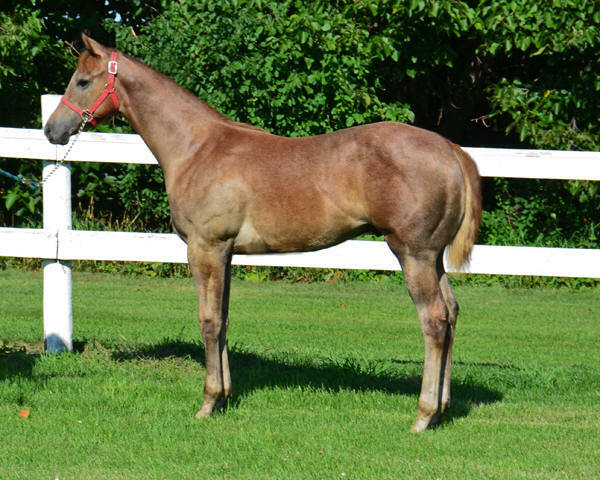 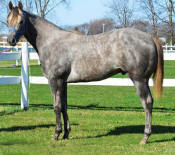 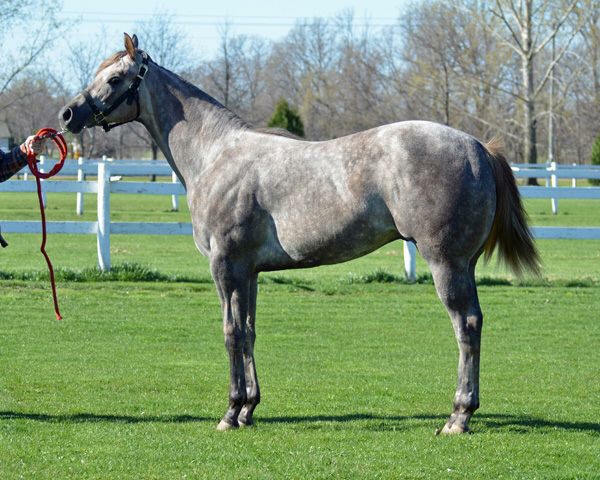 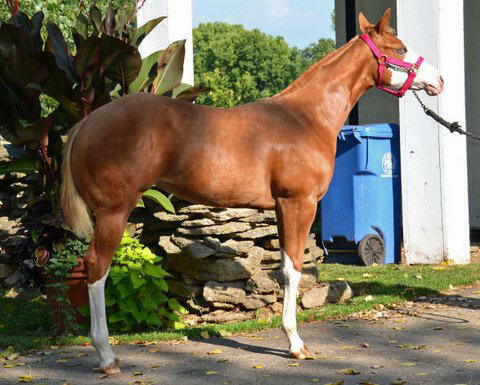 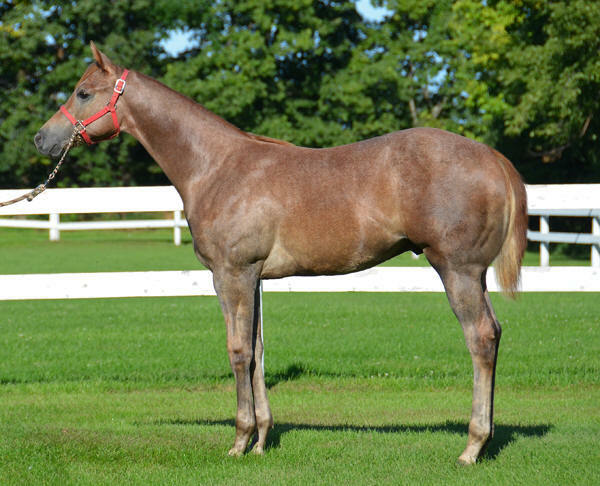 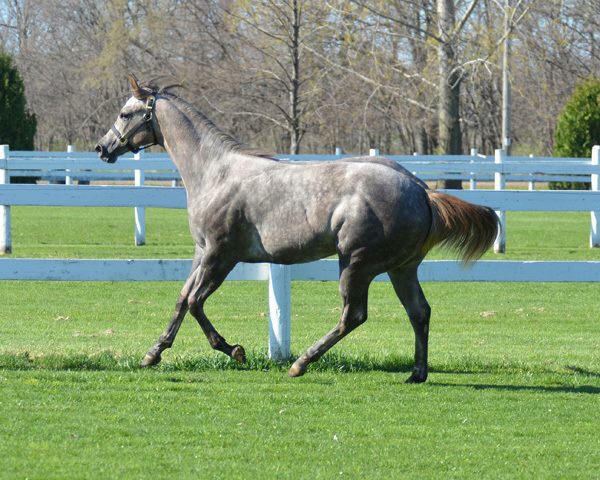 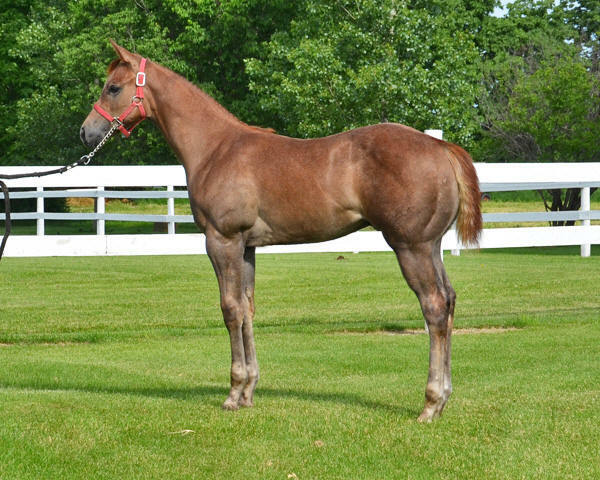 This is an NN filly by Classically (Fred) out of Rebecca (You Bet Im Cool) She is a half brother, sister cross. 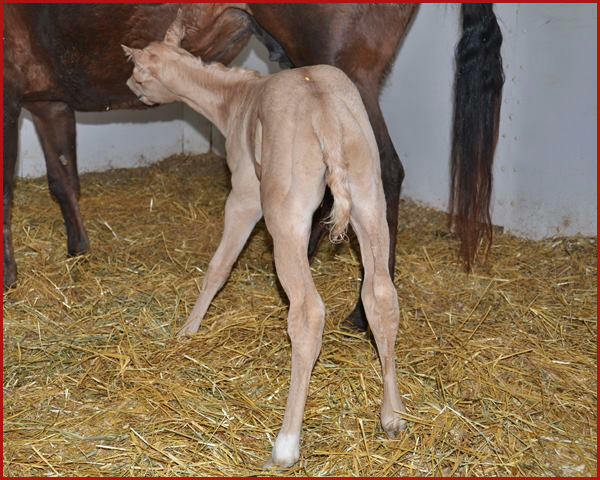 I will try to get better pictures but her recipient mother is pretty proud of her right now. 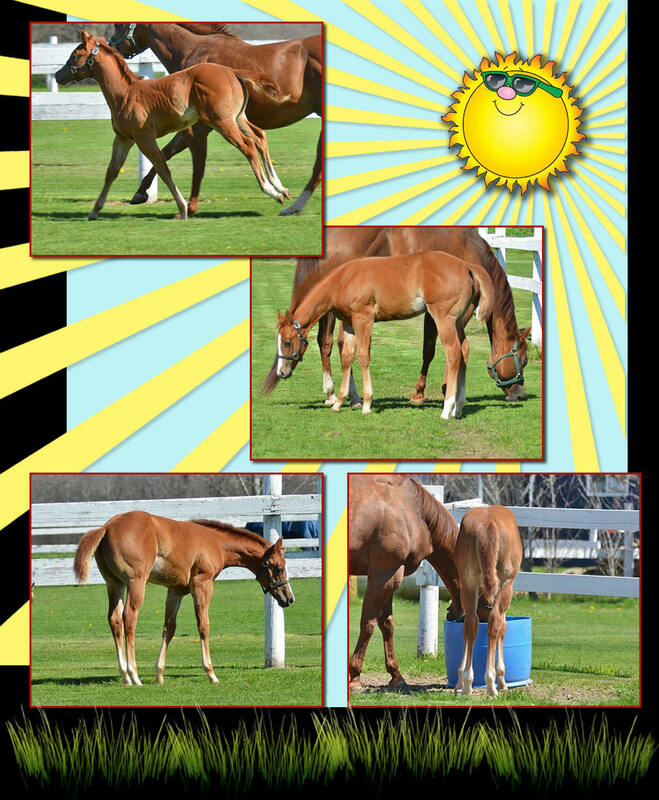 Pictures taken 4-26-15 - 2 months old Click to enlarge. 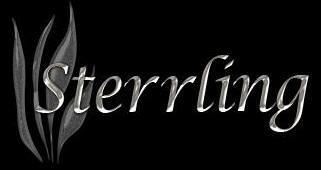 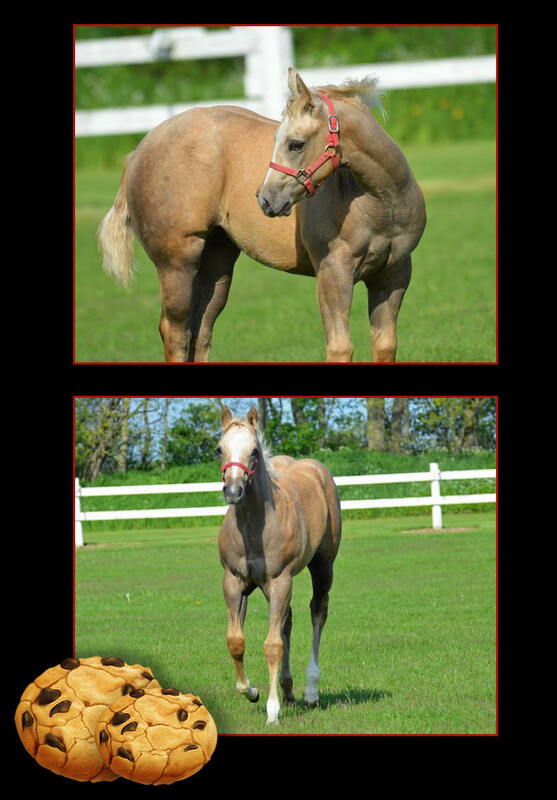 Sterling as he matures starting from his birth to present. 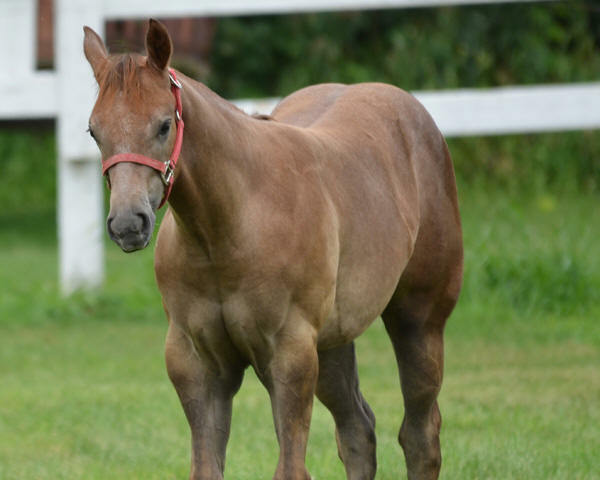 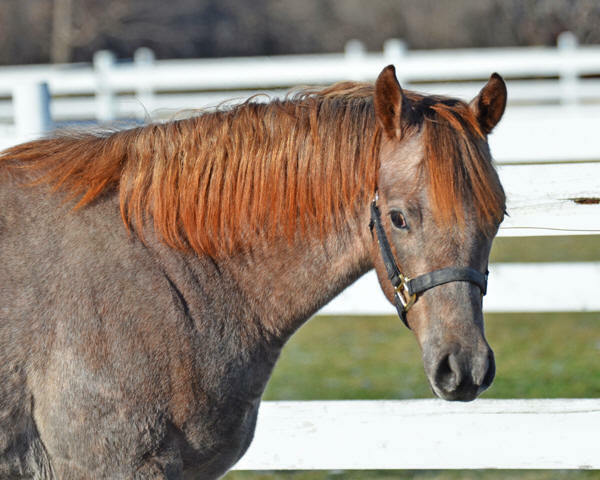 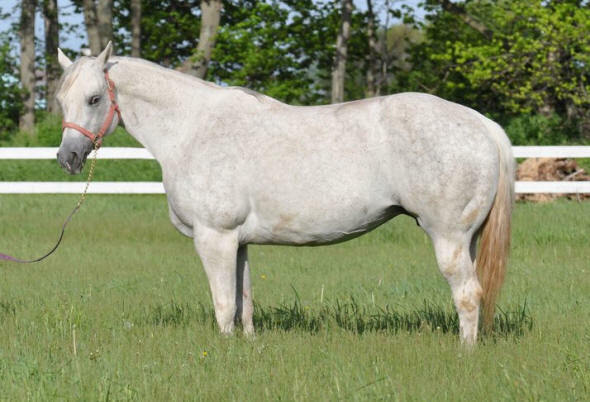 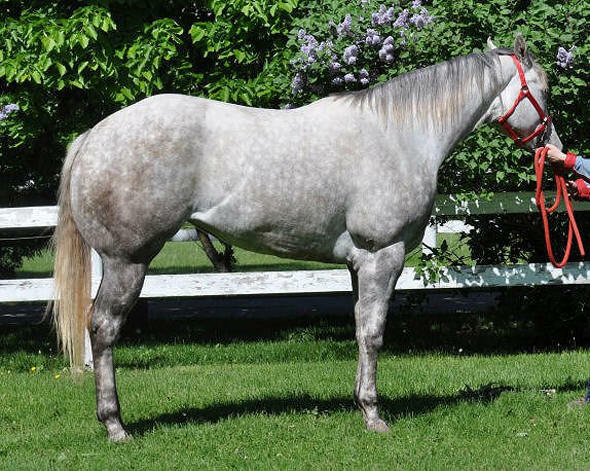 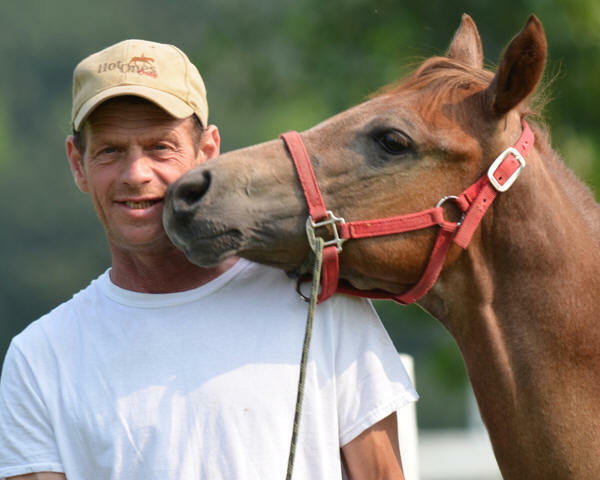 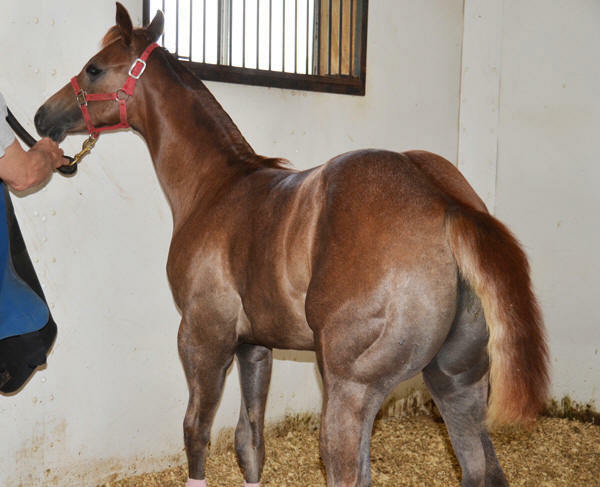 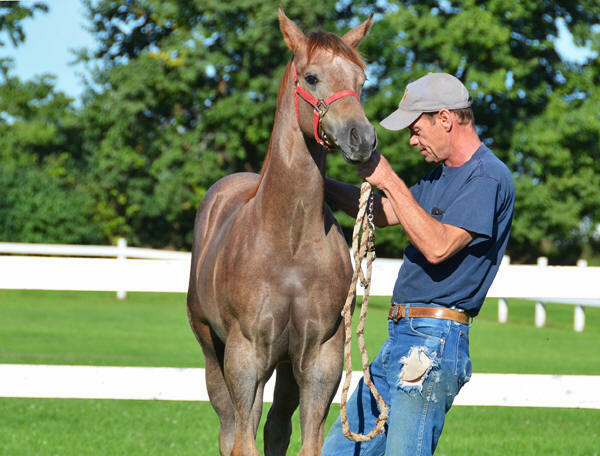 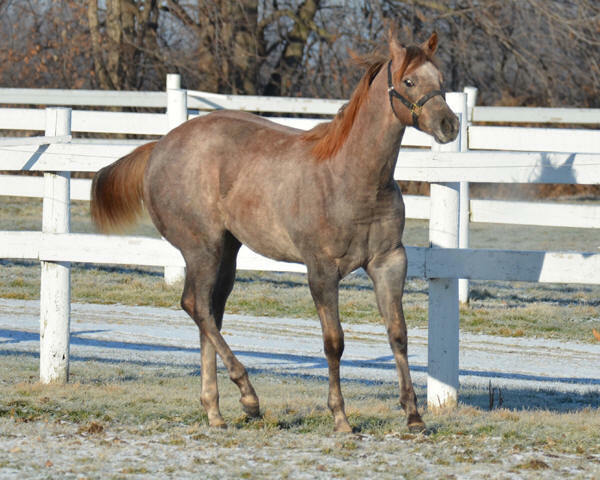 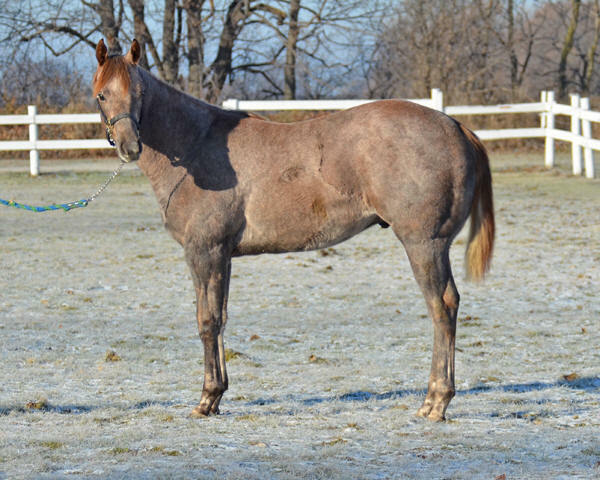 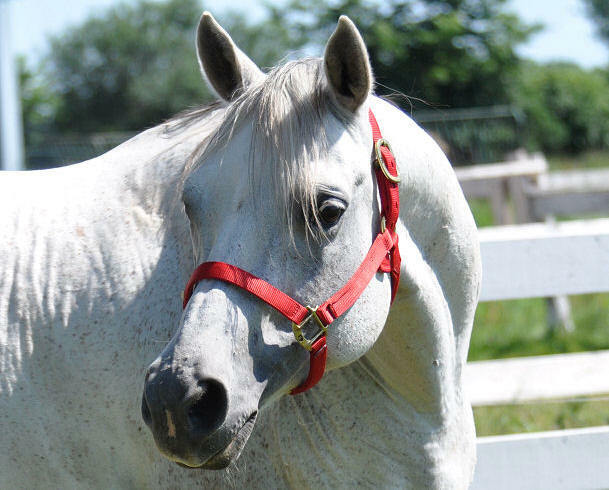 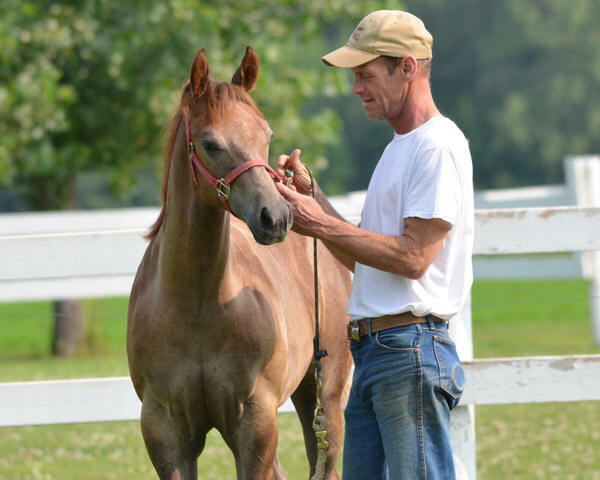 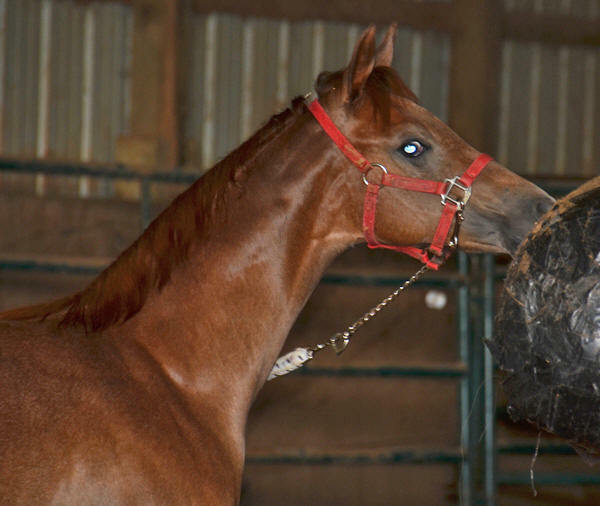 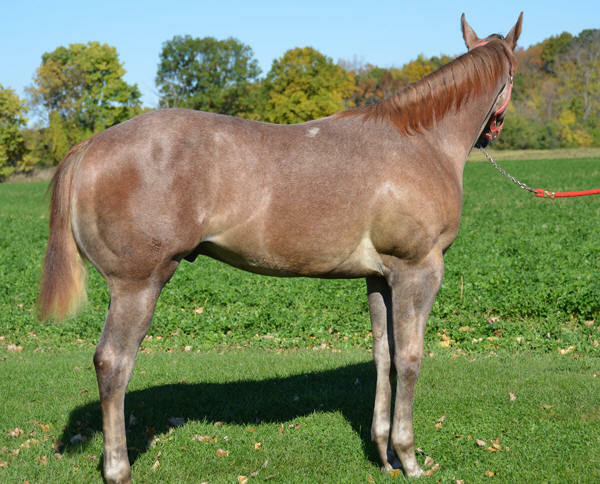 He went from being a pretty sorrel to a red roan and he will eventually turn gray. 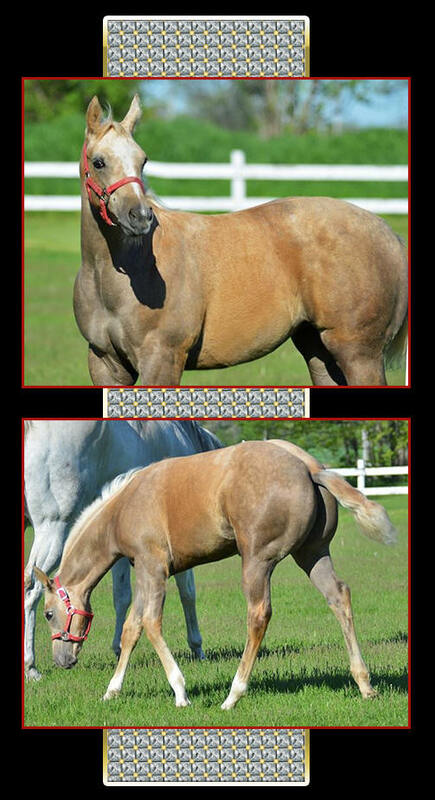 He should mature over 16 hands and he is tested NN for HYPP and PSSM1. 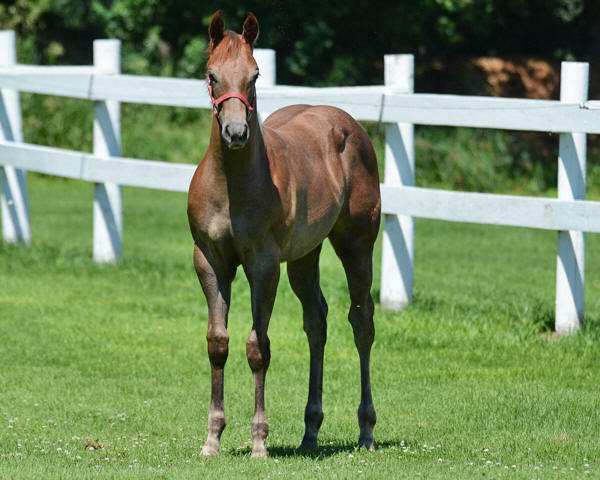 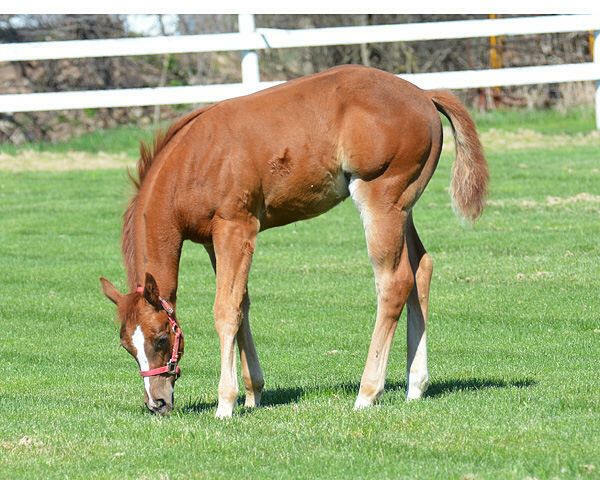 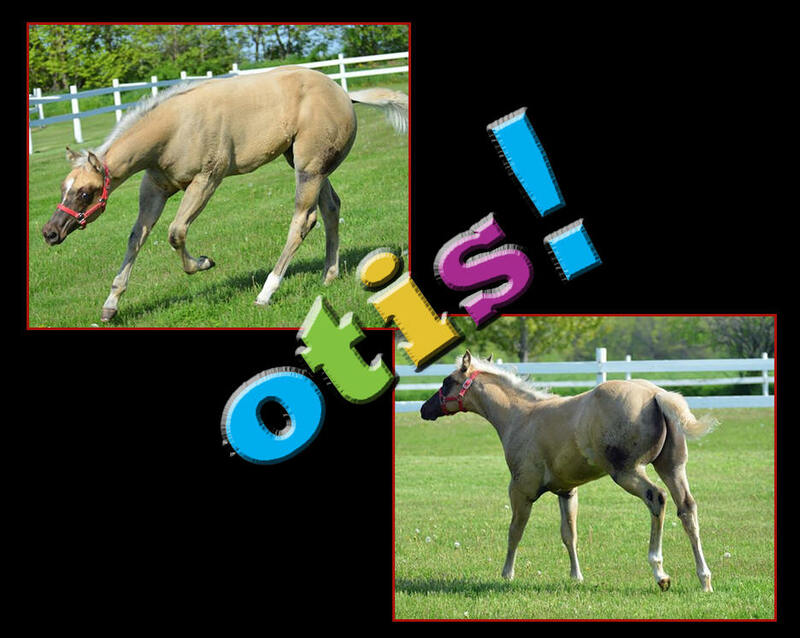 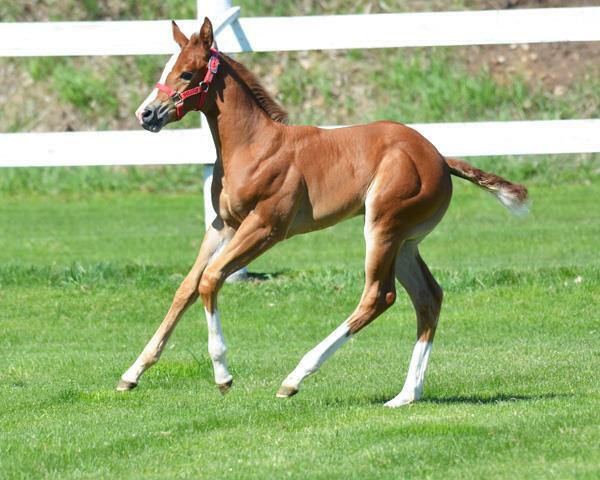 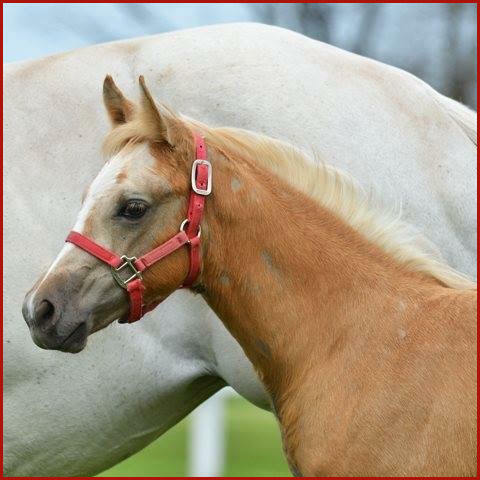 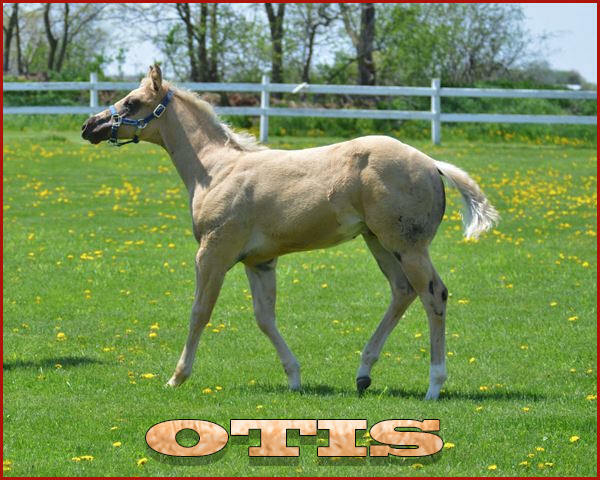 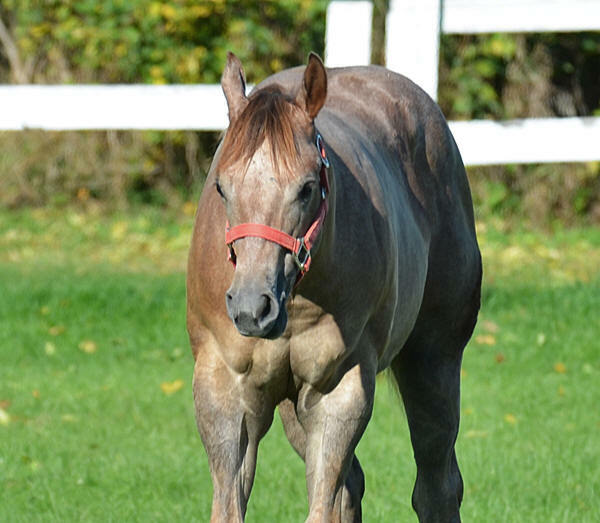 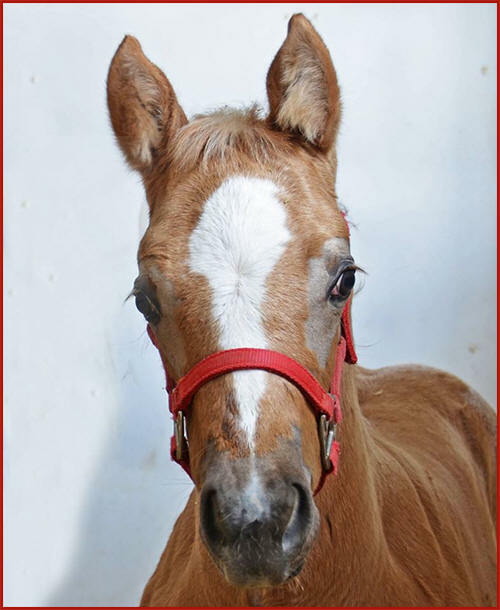 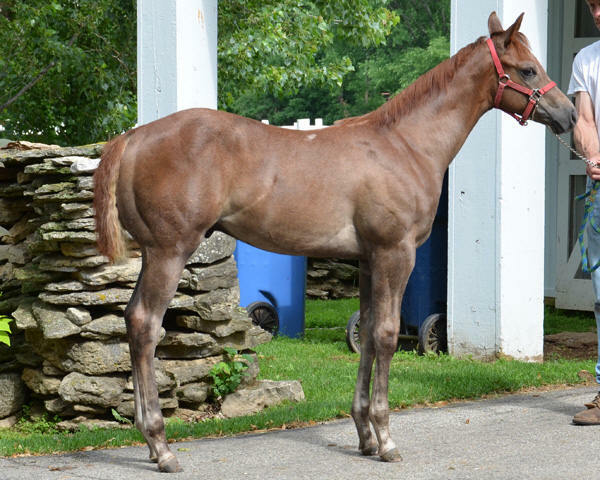 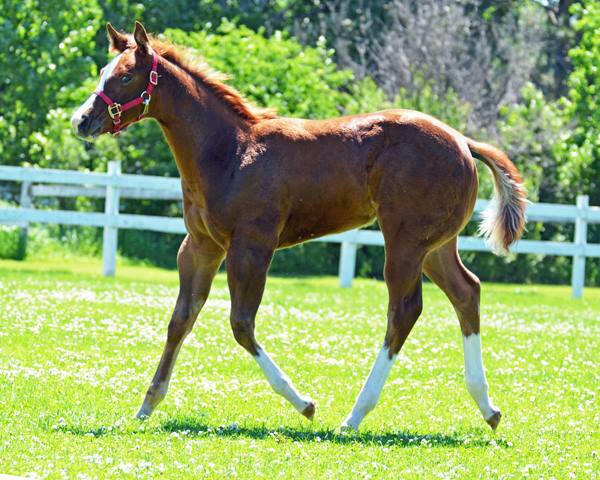 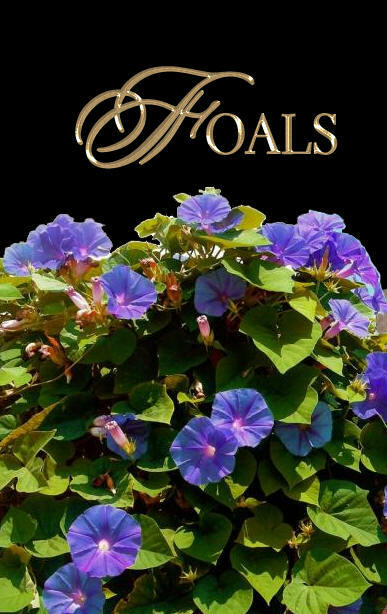 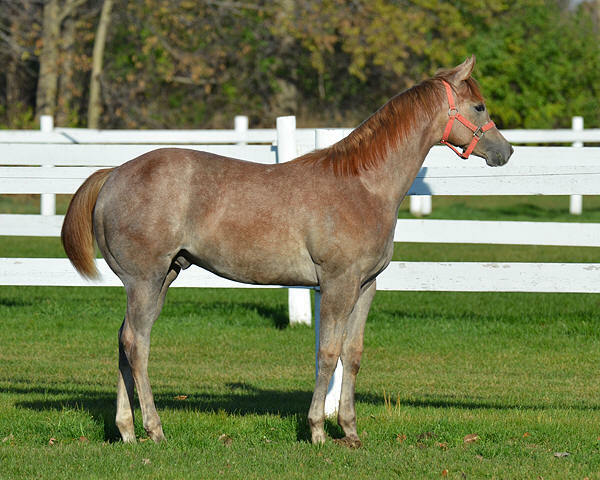 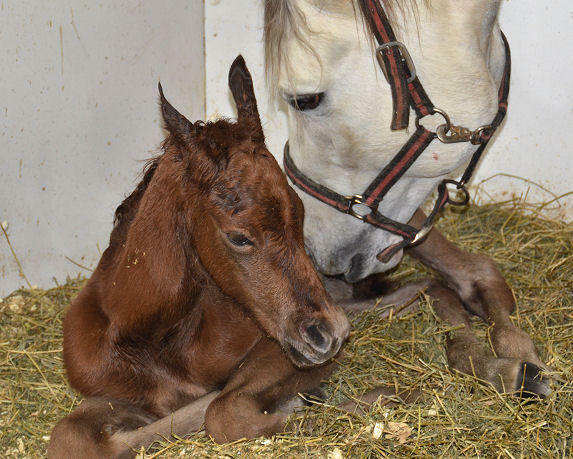 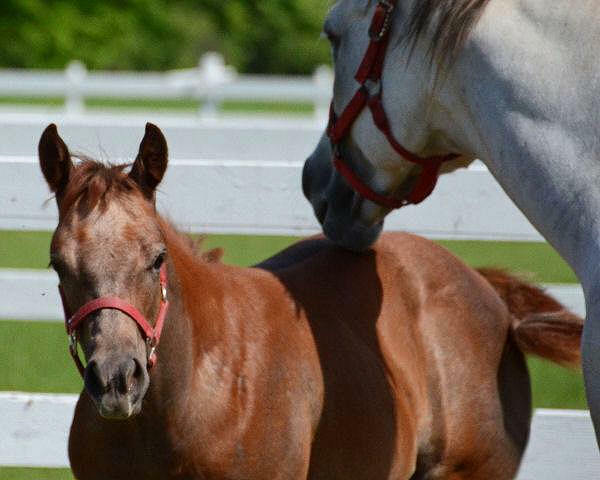 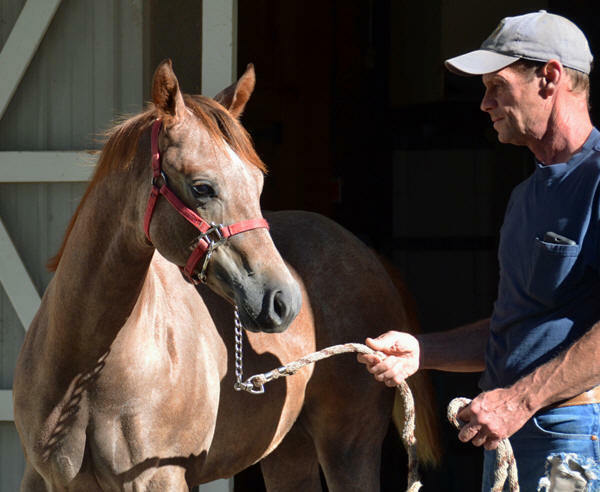 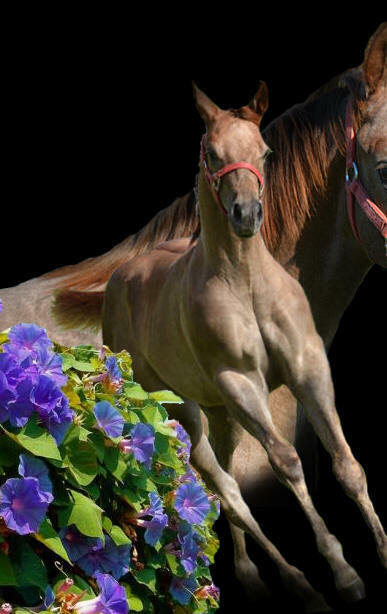 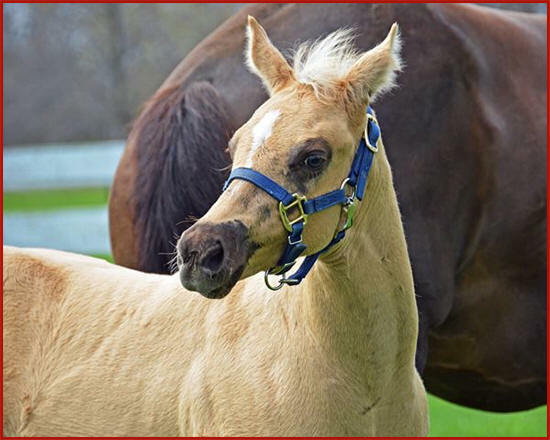 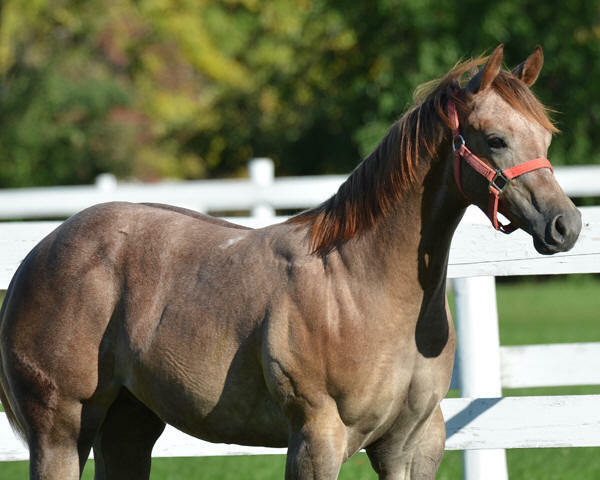 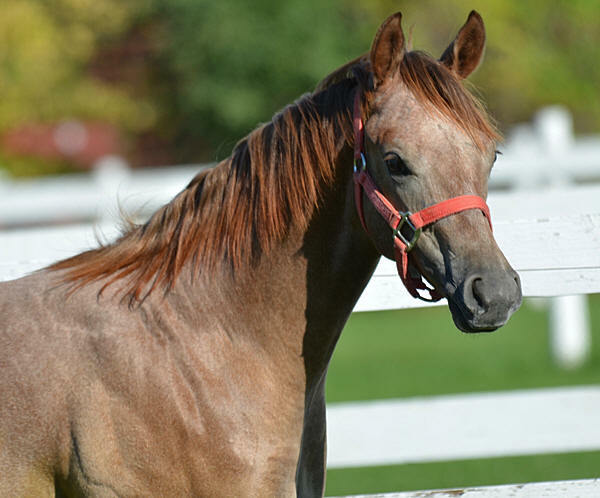 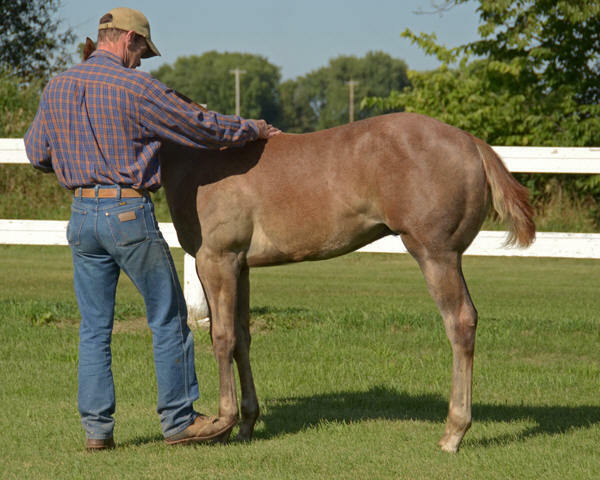 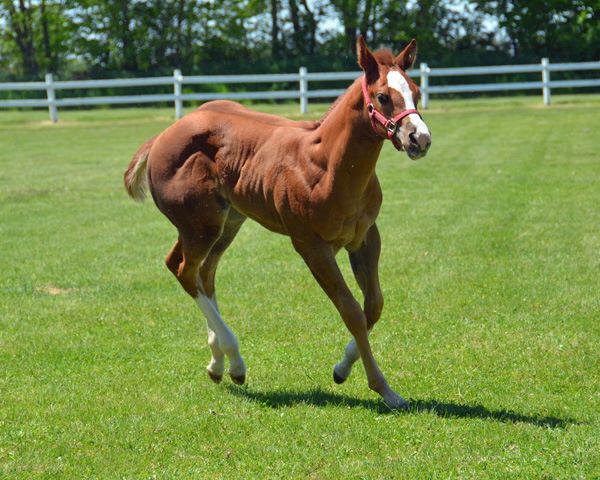 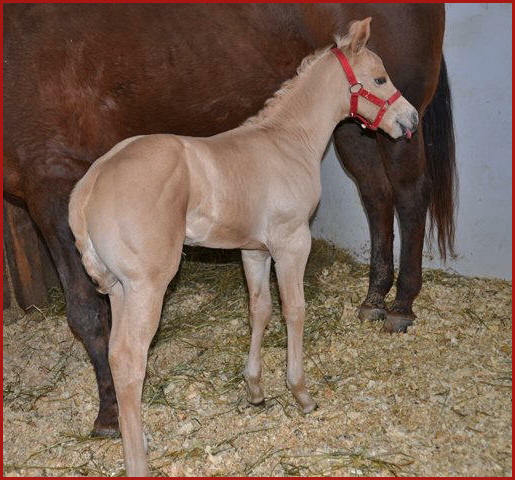 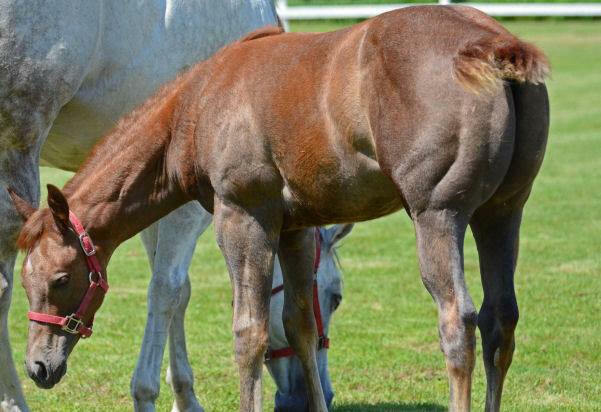 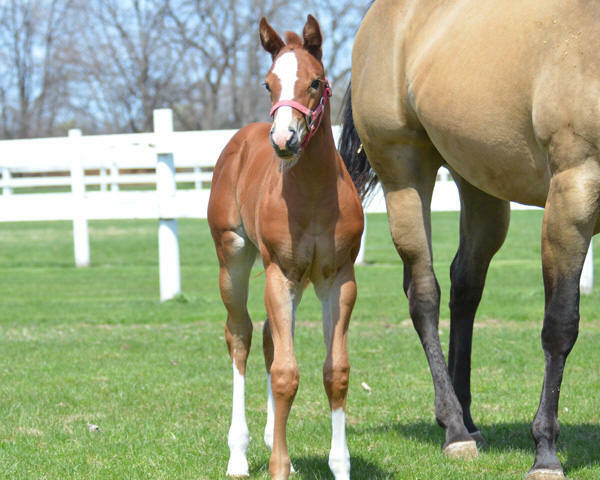 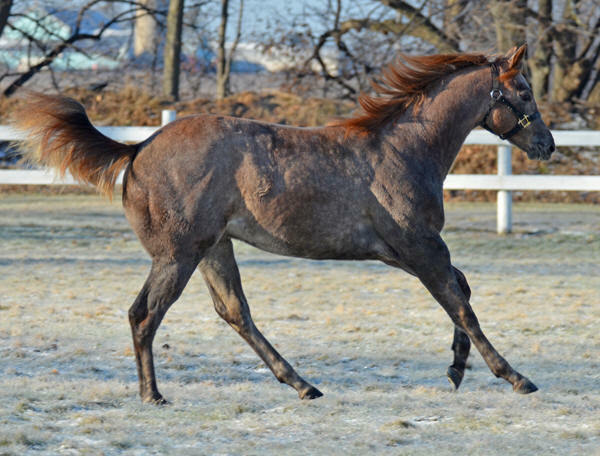 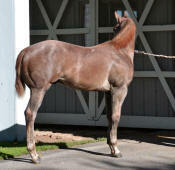 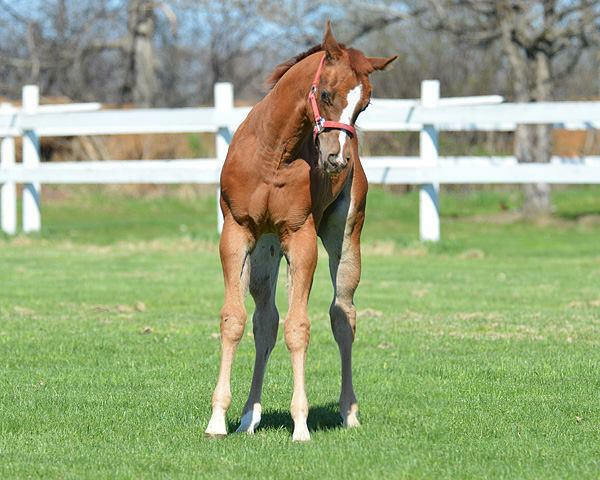 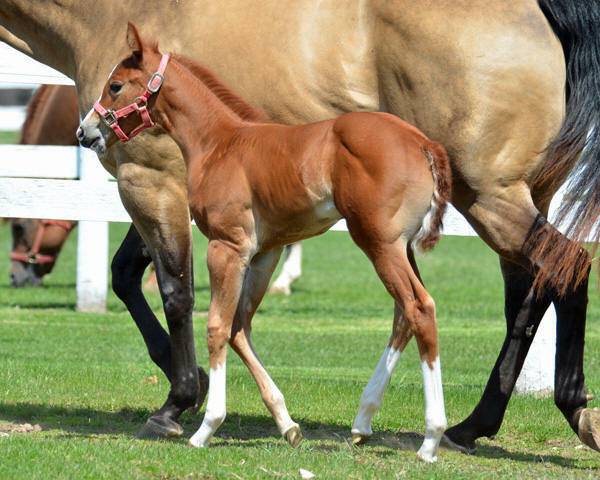 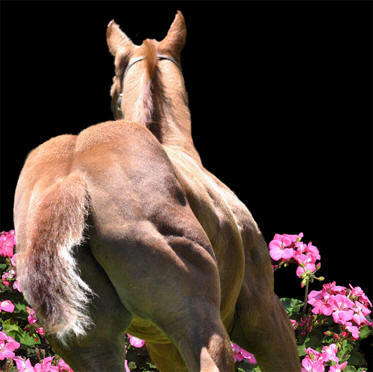 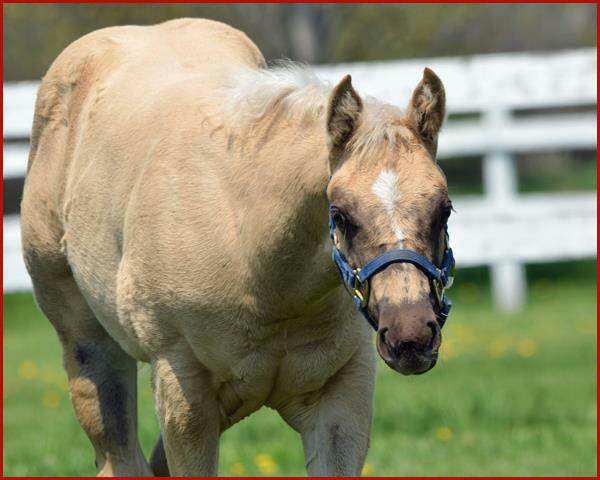 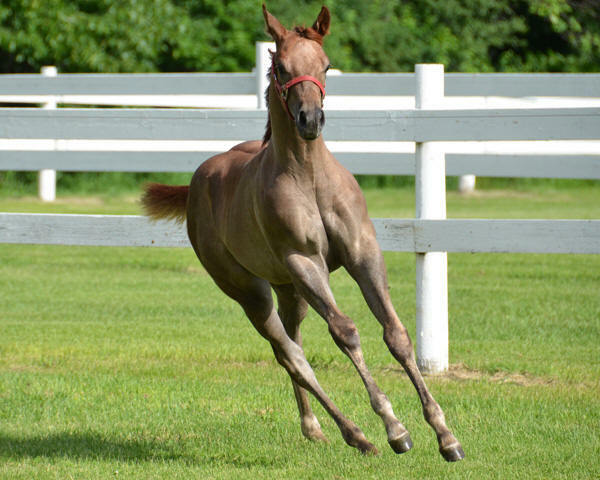 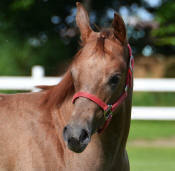 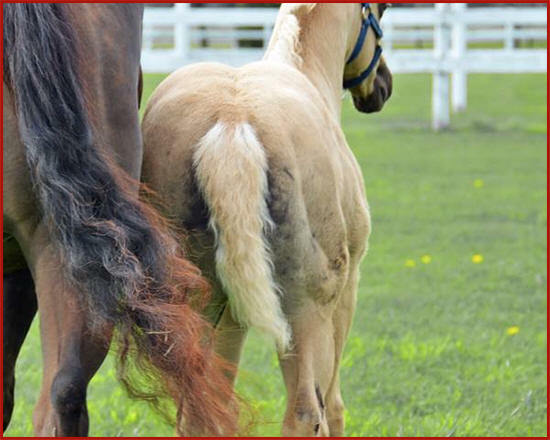 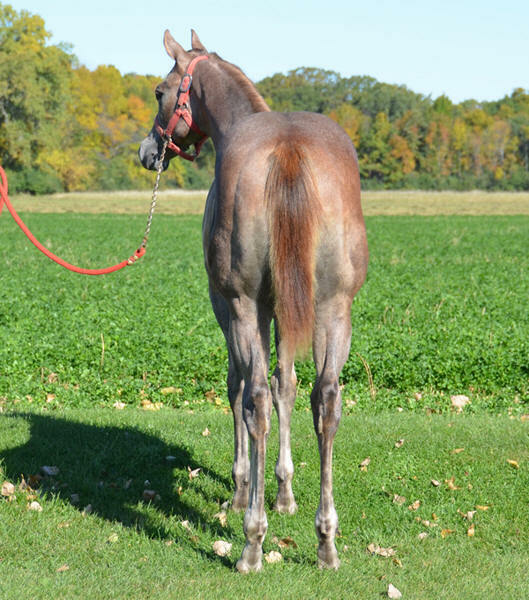 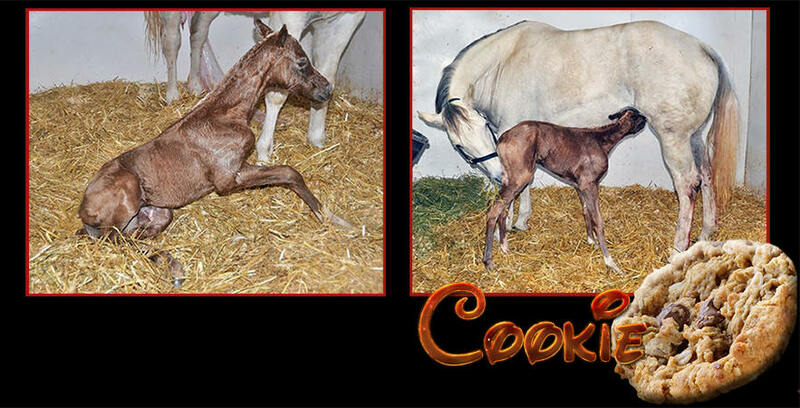 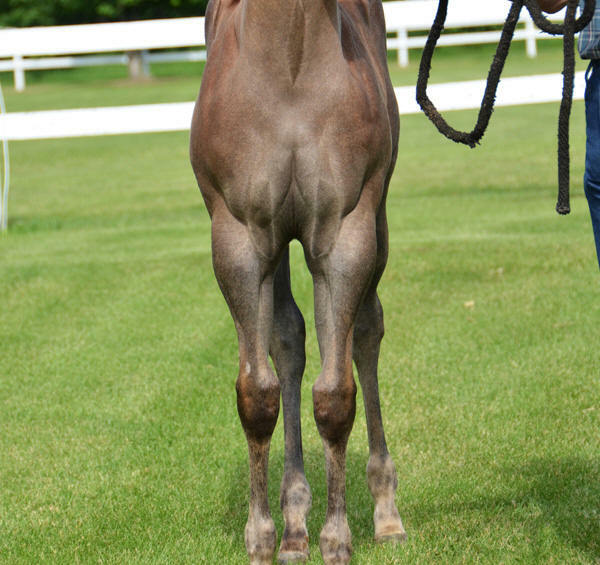 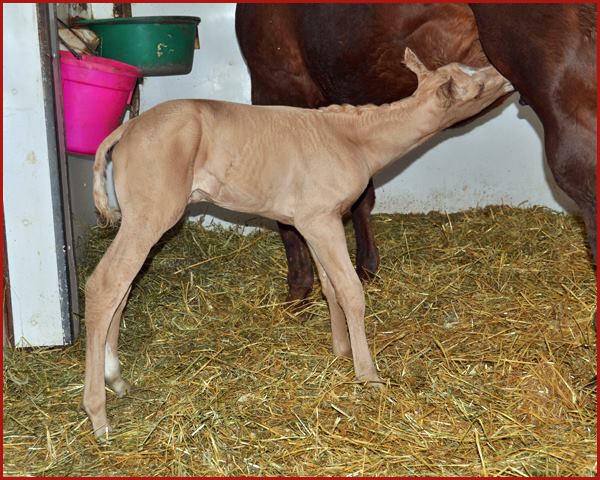 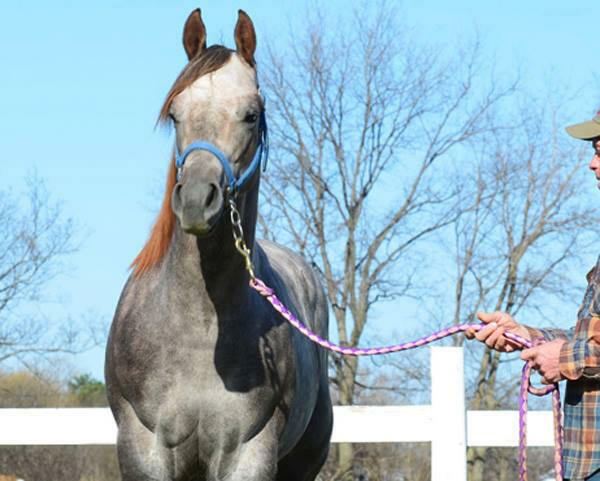 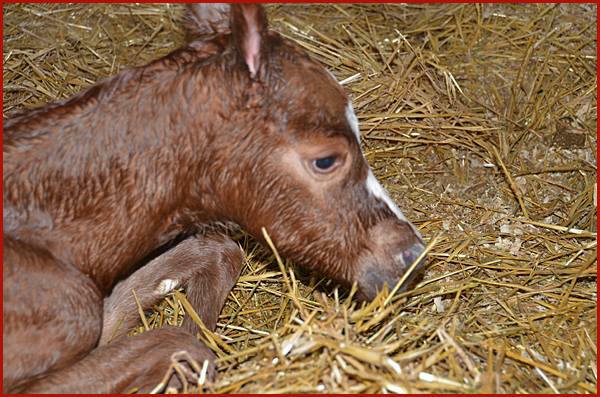 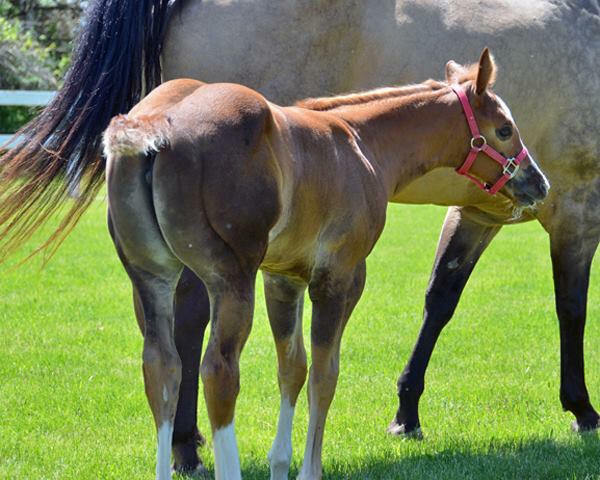 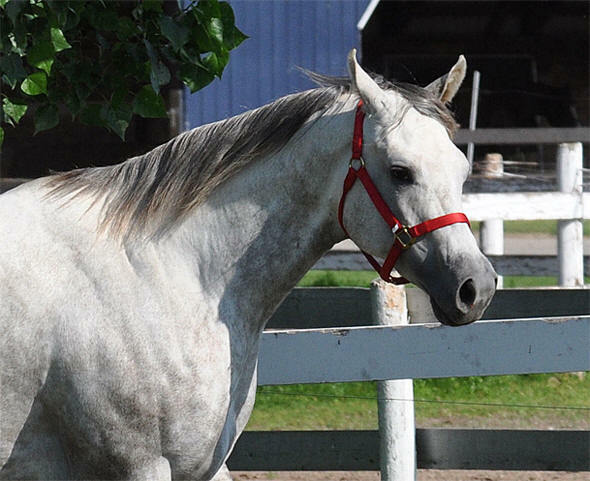 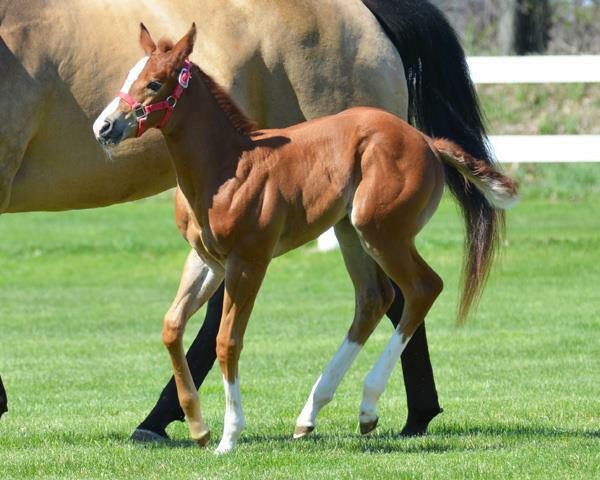 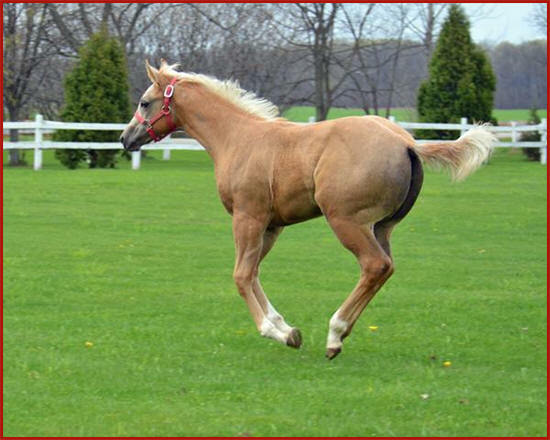 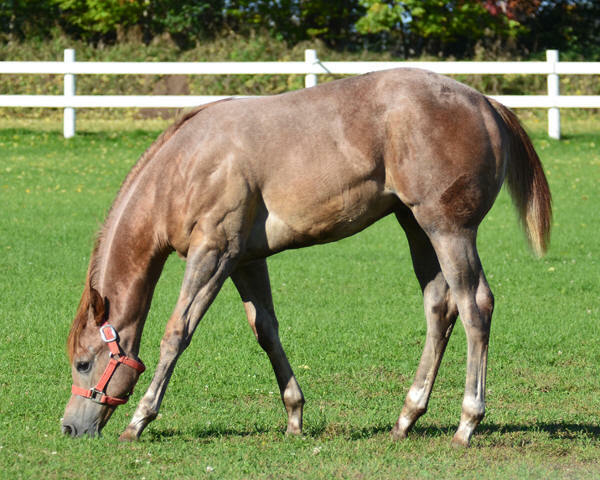 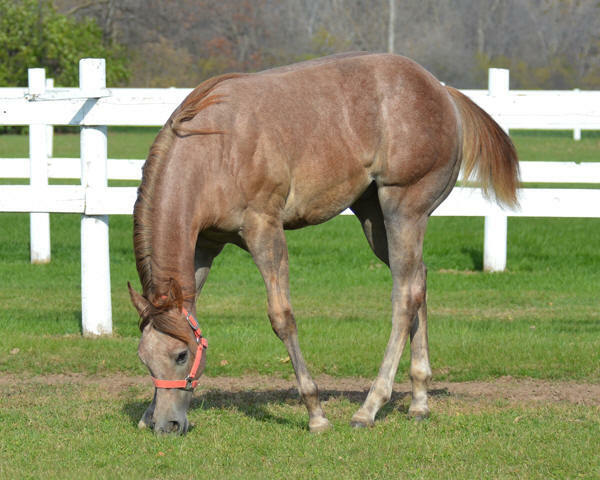 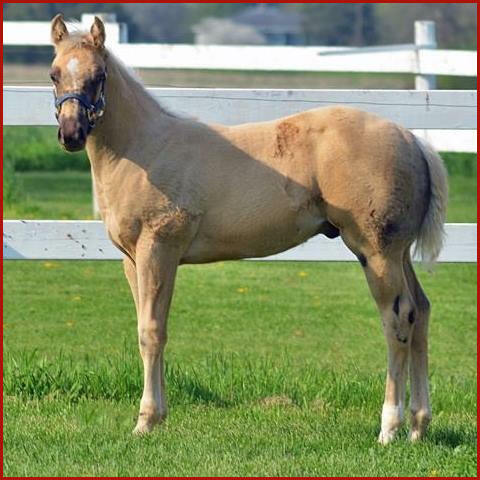 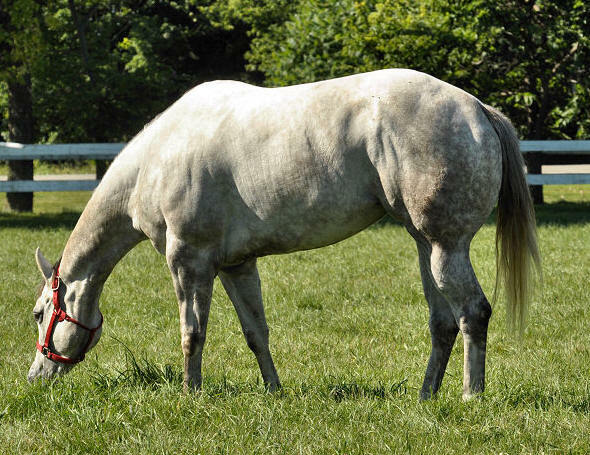 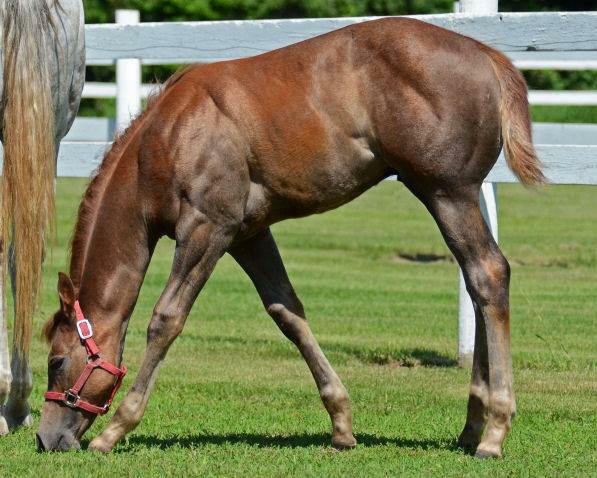 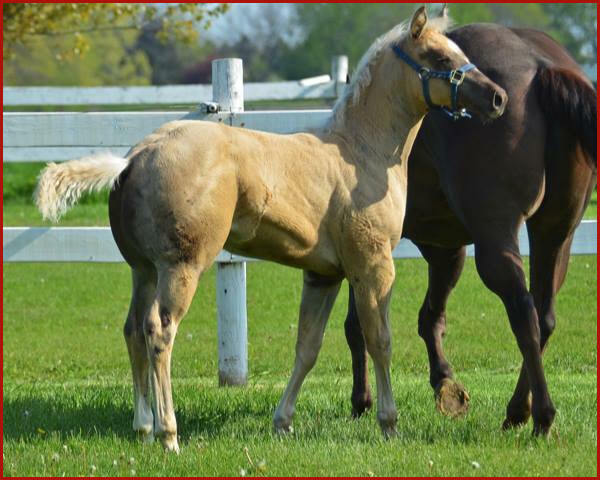 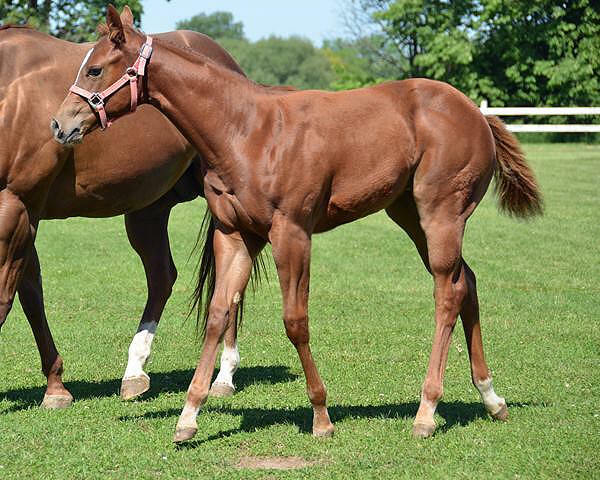 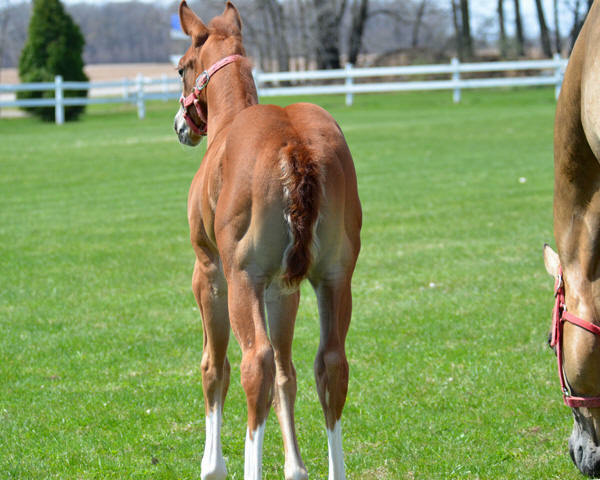 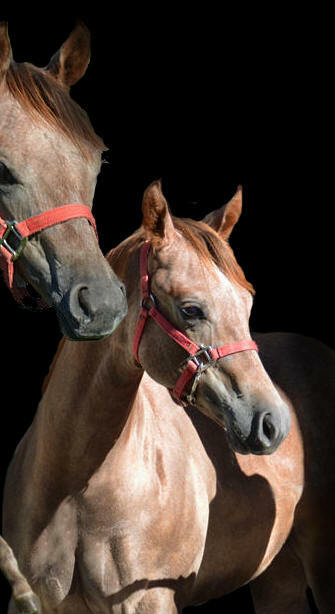 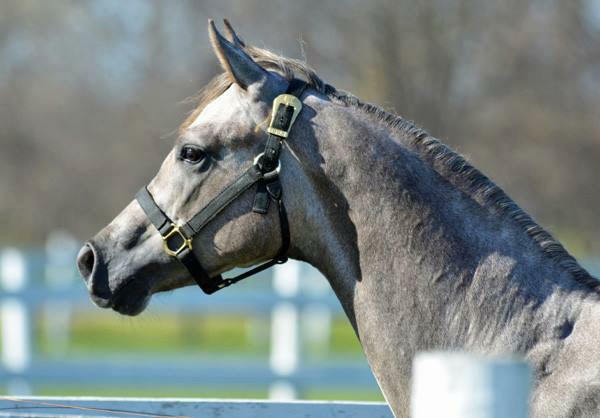 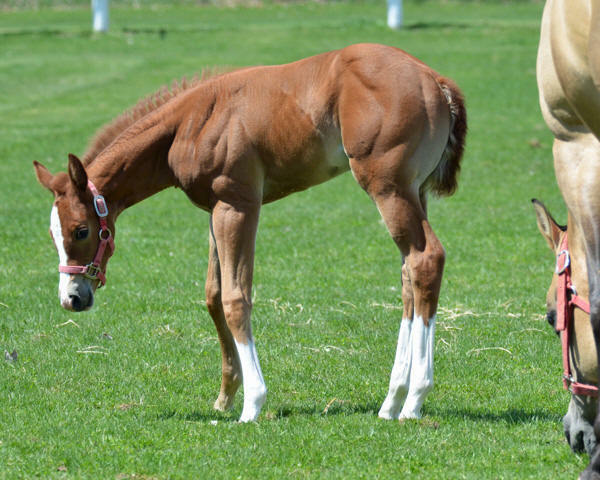 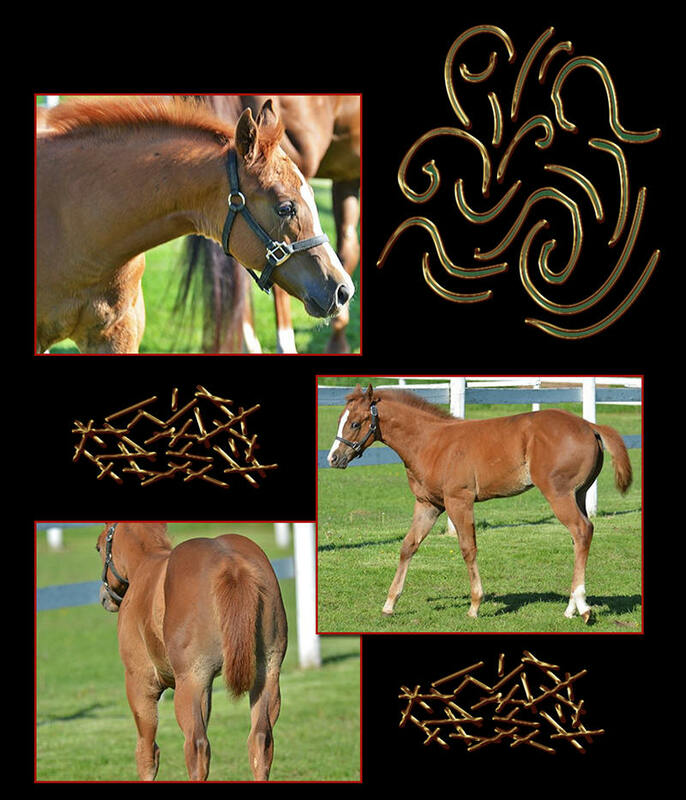 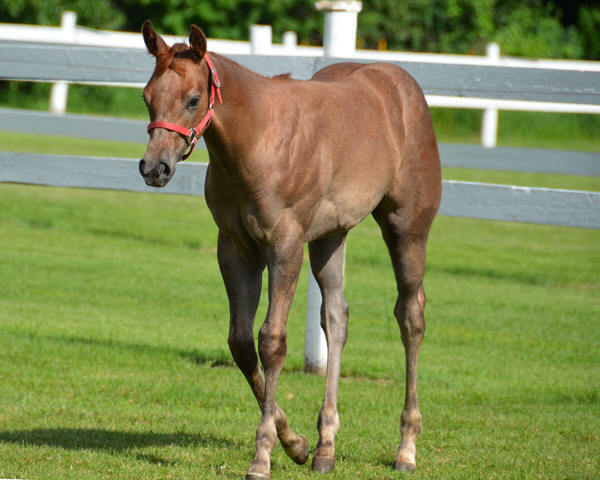 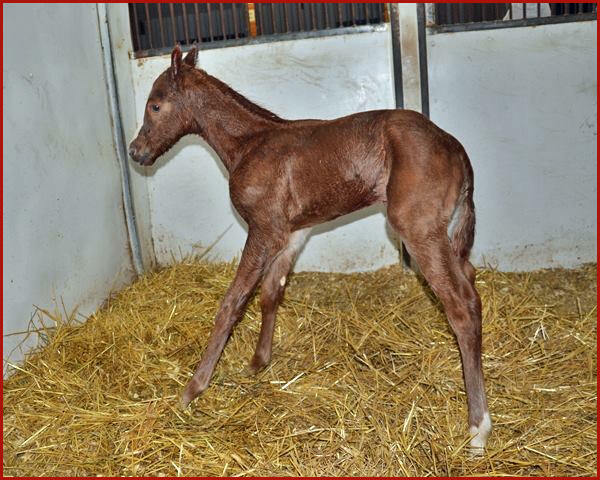 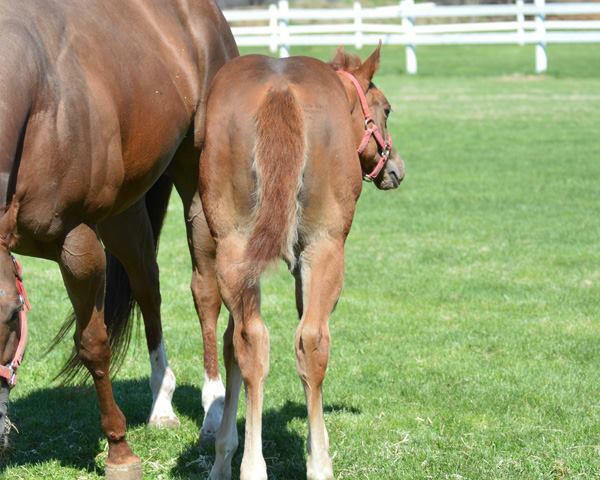 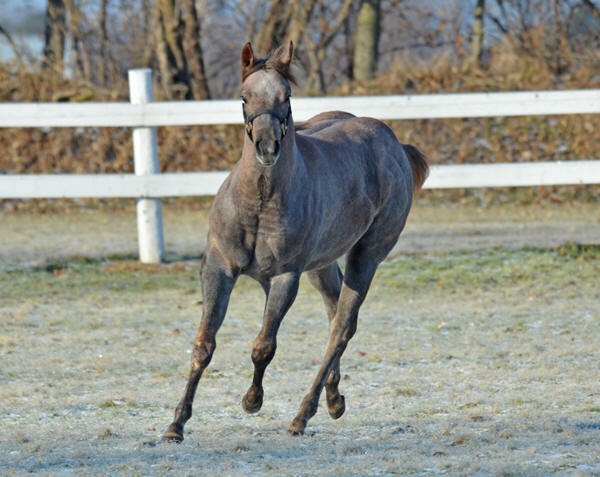 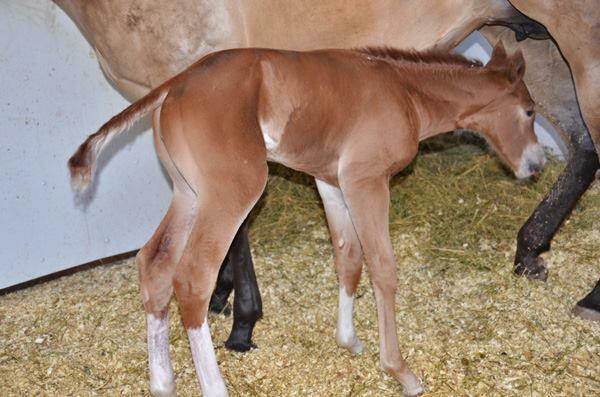 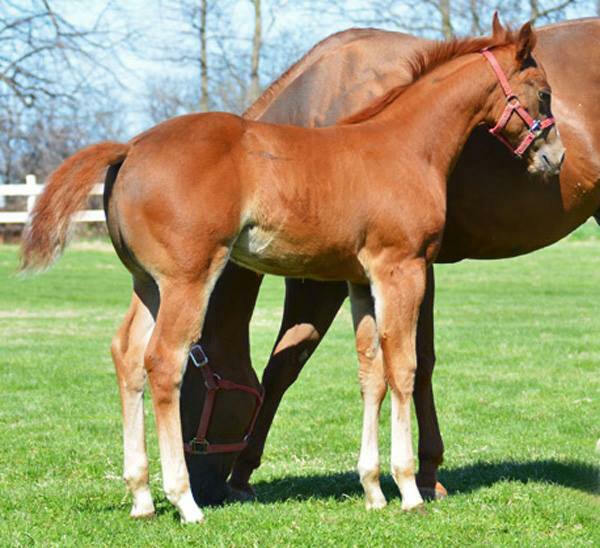 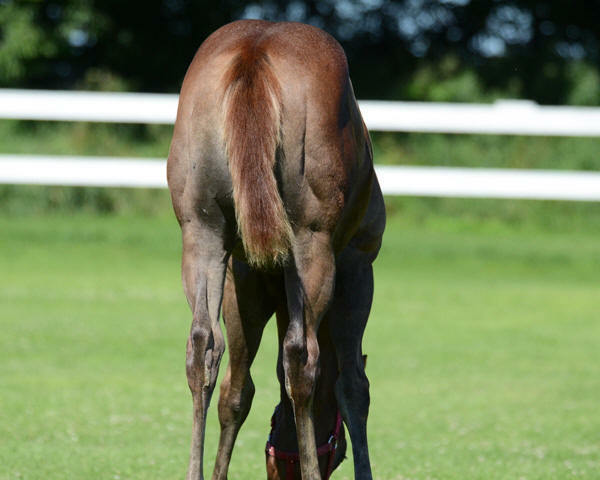 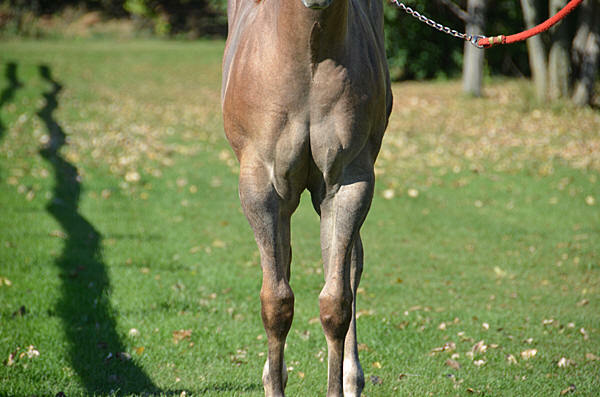 Click here for 2013 foals.